Authentic magic happens only rarely in the theatre… those rare wonderful moments when we see one thing on stage with our eyes, but our hearts tell us we’re seeing something entirely different. 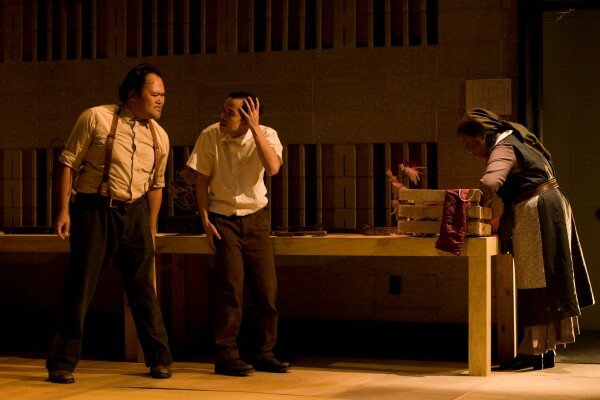 The National Asian American Theatre Company’s production of Jorge Ignacio Cortiñas’s Blind Mouth Singing is filled with such moments of magic. 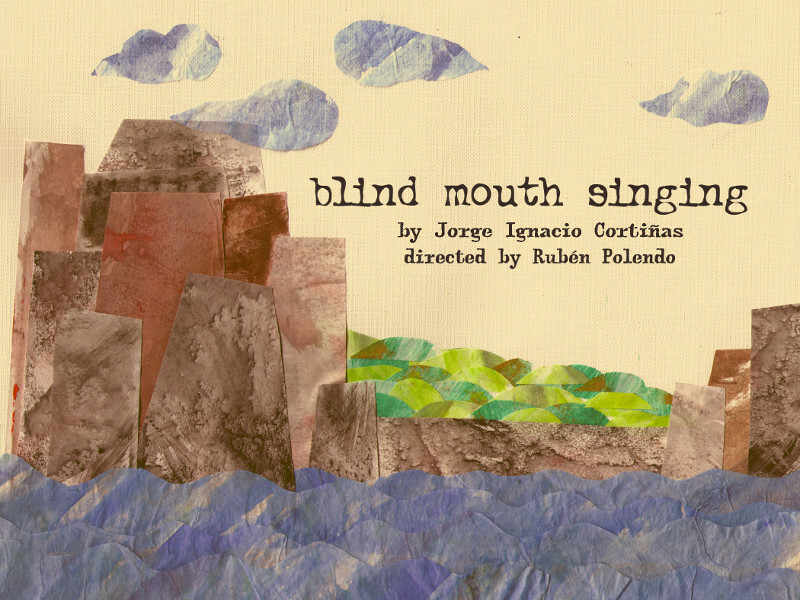 Blind Mouth Singing, a strange, beautiful play by Jorge Ignacio Cortiñas is set in that hazy place between the person you are and the person you want to be, or could be, or are in danger of becoming. 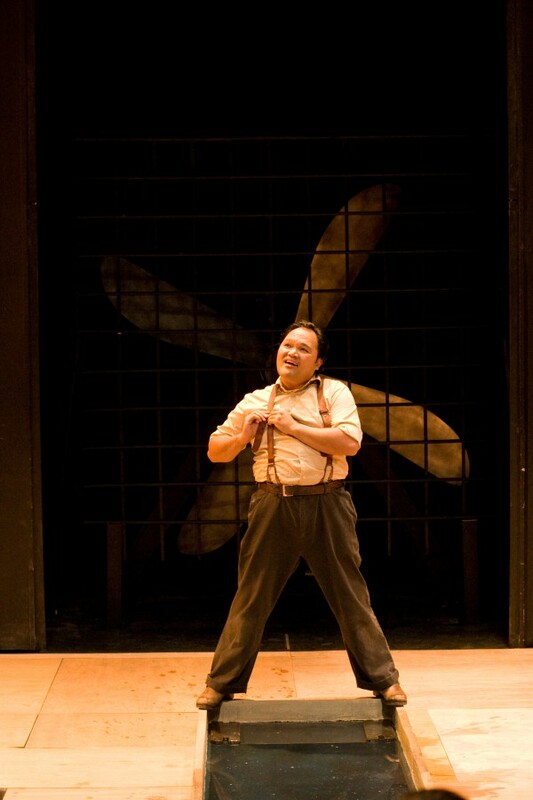 It’s all about the push and pull that goes on there, the escaping and avoiding, and the staging it is being given by the National Asian American Theater Company complements Mr. Cortiñas’s lyrical musings expertly: dreamy, unhurried, using the full width of the Baruch Performing Arts Center stage. 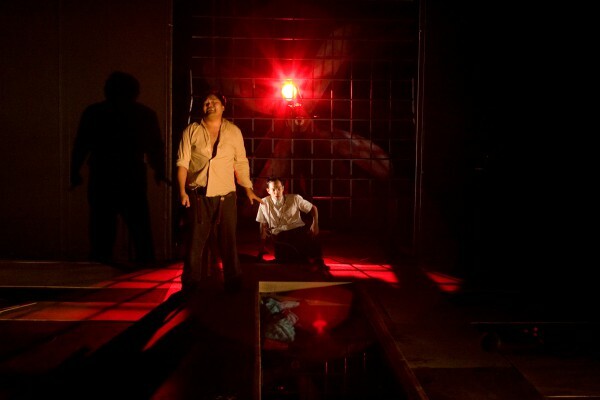 The production opens a rare vista onto strange and fascinating theatrical territory. Lyrical and haunting…the elements combine to create a cumulative effect that is both stylish and striking. 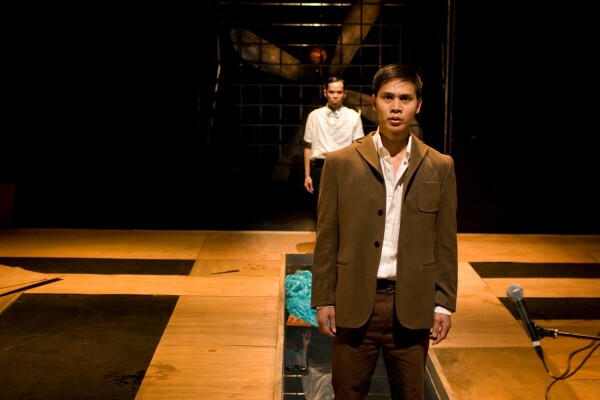 The uniformly strong actors deliver affectingly naturalistic performances, making for an arresting tension when set against the surreal turns of the plot and the production’s expressionistic vision. Director Rubén Polendo does an admirable job shaping space and moods with his cast. 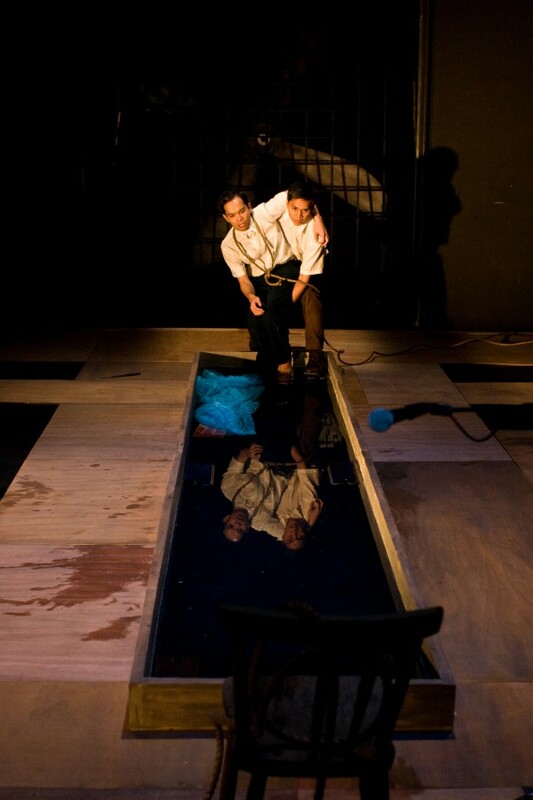 Blind Mouth Singing was originally commissioned by South Coast Repertory. 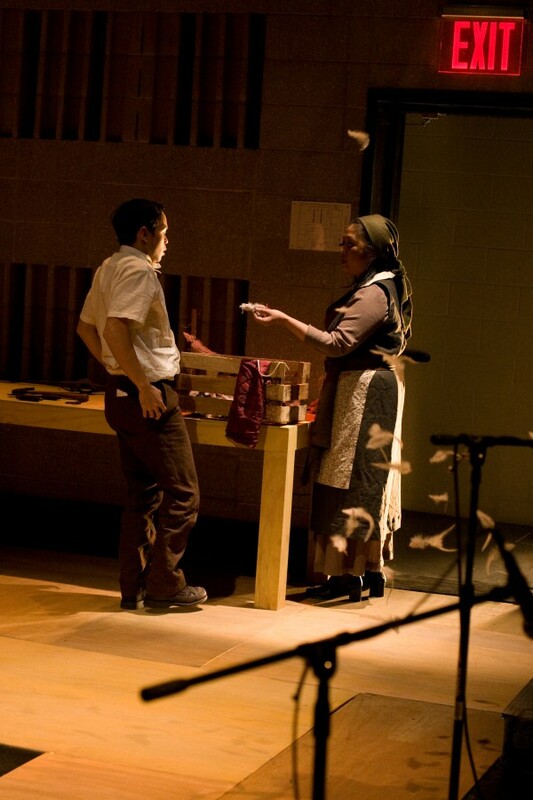 The play has received development at the Joseph Papp Public Theatre; at the Underwood Theatre; and was supported by the Eugene O’Neill Theatre Center during a residency at the National Playwrights Conference of 2004.